Brakes: When is it Time to Replace? Whether you enjoy frequent luxury rides around town in the luxurious Lincoln Continental or are transporting your kids to soccer, ballet or even for a family trip to the beach in the large and in charge Lincoln Navigator your vehicle needs a trusty, well-performing set of brakes. Deciding when it is time to replace your certain components in your braking system depends on a wide set of factors. Brake pad and rotor longevity largely depends on the driver, vehicle, and type of driving. While most brake pads last between 30,000 and 70,000 miles and brake rotors as much as three times as long as pads, these numbers are largely based on your regular driving conditions. Frequent braking, like in rush hour or at stop lights, results in faster wear than open road or turnpike driving when the brakes are often applied less. In the latter case, the car would have many more miles on it, but the brakes — and brake pads — would have less wear. Harsh braking from high speeds also reduces the lifespan of brake pads. The weight of the vehicle similarly impacts brake pad wear. Heavier vehicles, like the Lincoln Select, have more weight to stop, so their brake pads will often need to be replaced more than a lighter weight Lincoln MKZ. To get the full life out of your brake pads and rotors, give yourself plenty of time to stop, and try to coast to a halt. Also, make sure your wheel lugs are properly torqued to the car’s specifications. If they’re too tight, they can damage your Lincoln vehicle’s brake pads. The more worn your brake pads are the more likely the rotors are taking the brunt of the stopping power, which increases the need for replacement. In order, to assure the health and safety of your braking system, the knowledgeable service staff at South Bay Lincoln also recommend having your brake pads and rotors checked during each oil change. During this service, our team of mechanics will use gauges to test the wear on pads and to predict the remaining life. This test will alleviate you from the guessing game. Because the lifespan of your Lincoln model’s brake pads and rotors is so dependent on their use, don’t rely on a certain number of miles to tell you when it’s time for a replacement. Instead, pay attention to your car’s warning signs. 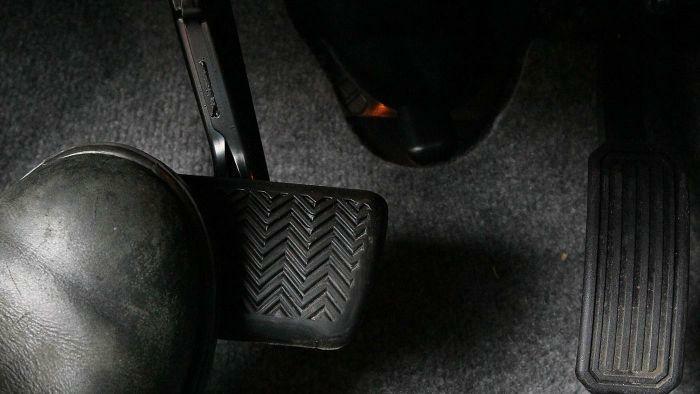 If you hear grinding or squealing when stepping on the brake pedal, if the brake pedal is jumping when you step on or if your Lincoln model pulls to one side when you step on it be sure to make a service appointment with the South Bay Lincoln service center. Another rather easy sign to watch for is your brake indicator light, which is easily seen on the dashboard of each and every one of our Lincoln models. When you see this light illuminate don’t ignore this major warning sign as you will put yourself, your vehicle, your loved ones and others at risk. If you are ready to keep your Lincoln model’s braking system healthy for many years to come, let your friends here at South Bay Lincoln help you no matter the make or model.